Given our commitment to capacity building, Promise has been offered skill development courses right from the outset. Given below are illustrations, taken from our archives, of some of our earliest programmes. The Deena Seva Sangha is a Trust that runs one of the largest schools in Bangalore called the Sevashrama School for children who live in extremely difficult circumstances in one of the largest slums of Bangalore. 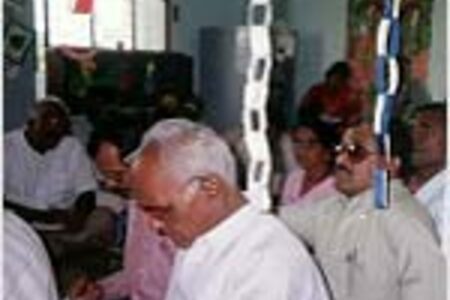 The Promise Foundation was invited in 1992 to develop a School Mental Health Programme for the Sevashrama School. It was on this project that our earliest ideas for literacy learning were developed and our Programmes for Assisted Learning (PAL) were created) . 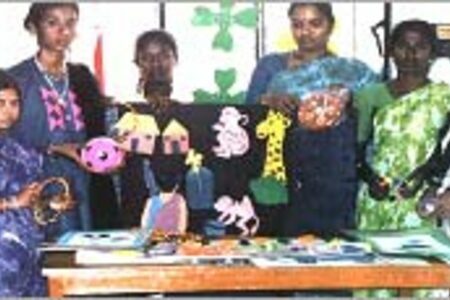 The project included working with children with mental handicap. Given the emphasis on mental health, this project also focused on programmes to enhance personal growth among students, along with study skills, dealing with peer pressure and life skills development. Counselling was made available for students who were victims of trauma and abuse. 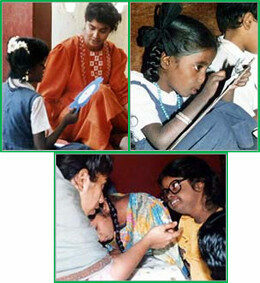 One of our earliest teacher training programmes was for AVAS - an NGO based in Bangalore. This included orienting teachers to early child development and training them in skills to develop low-cost teaching aids. 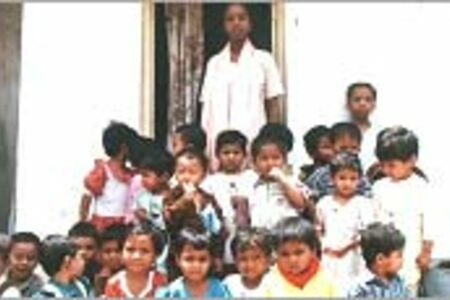 The Promise Foundation's services were retained by Samuha in 1997, to develop pre-schools in remote, poorly developed villages in North Karnataka. 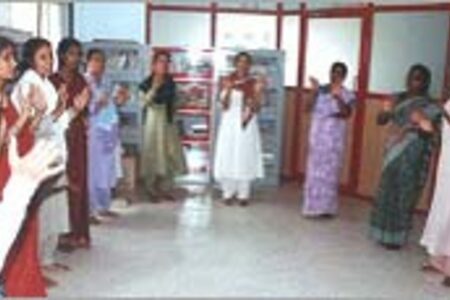 Our trainees were village women. 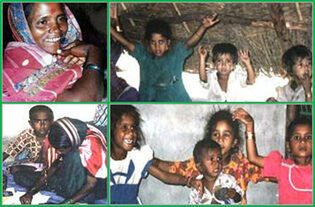 Although many of our trainees were illiterate their skills for child rearing were impeccable! Within a few days of training they were able to draw on their own experiences, and local materials to establish effective, low cost pre-schools, in over 50 villages. A vital learning for us was the importance of identifying folklore, stories and lullabies and integrating them into the early childhood programme. The Promise Foundation's research has consistently indicated that two important factors contribute to under employment and chronic unemployment. One is the skill status of the person. 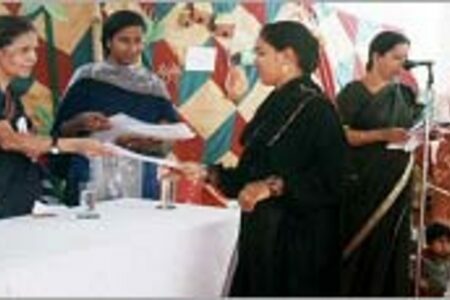 Unskilled young people may obtain employment in the short run. In the long run however, their lack of literacy for work skills keeps them on a trajectory of low incomes and unstable employment. 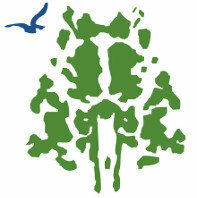 Secondly, career beliefs, influence the quality of the young person's career development. Skepticism toward education, beliefs that pre-empt persistence toward career goals, contribute to chronic under / unemployment. Self-Efficacy Training (SET) is an intervention developed by The Promise Foundation to address these issues and enhance skill literacy. The programme was implemented in collaboration with two Rotary Clubs in Bangalore and the Peenya Industrial Association (one of the largest industrial centers in Karnataka) to enhance the employment prospects of young people who had failed high school and were currently unemployed. Click here for more information about Skill Literacy. Kannada Kalika Kosha is a supplementary Kannada language learning programme conceptualised and implemented by the Language Development Programme team from The Promise Foundation and National Institute of Advanced Studies. 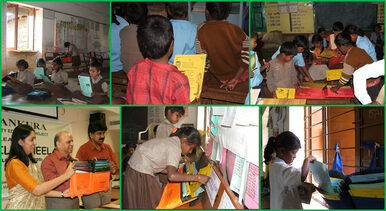 This programme is part of the District Quality Education Programme in Chamarajanagar, Karnataka. Kalika Kosha is committed to a framework where language learning is believed to occur best when a child can explore the language through a variety of activities. In this framework speaking and listening activities are valued as much as reading and writing activities. In addition, activities for language learning are through themes and topics taken from across the curriculum. Thus children learn a language by exploring the vocabulary in history or geography topics or even math and science topics. Finally, in the Kalika Kosha framework, it is important for children to have many opportunities to practice reading and to practice writing. Partner-teachers in the Kalika Kosha programme not only actively arrange for these opportunities, but also make a space in the classroom to display and ‘publish’ the outcomes of these activities. 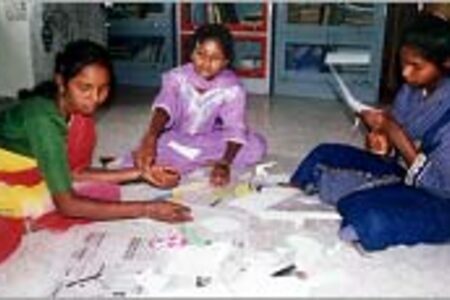 Kalika Kosha encourages children to ‘publish’ their writings as child-made books. When children have an audience to whom they can show case their creative work they become more confident users of the language. Click here for a summary of the programme. Chamaraja Nagar Stories presents the details of the Kannada Kalika Kosha project. Developing Skill Literacy: Ideas for Interventions against Unemployment. 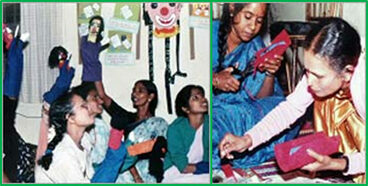 The pictures above show some of the early certificate courses designed by The Promise Foundation. The courses were offered at various levels that began with training Helpers in pre-schools and go on to courses that transfer skills from our SIP and PAL programmes. These courses are conducted in modules all through the year and organisations sign up to send their staff for training. Some of the groups we have trained are: AVAS, Akshara Foundation, Deena Seva Sangha, Gokaldas Images, Gramavikas, Humane Touch, Kreedangana, MAYA, National Institute for Public Co-operation and Child Development (NIPCCD), Outreach, People's Trust, Premaanjali, SOS Villages, Vivekananda Trust and World Vision (India). Some of our trainees return to their organisations with skills and intervention material. A few have set up their own pre-schools!